Edit August 2018: Since this post has recently received some exposure on Twitter, I will add that you can find a high-resolution scan of the map at the AGS Library in Milwaukee, here. 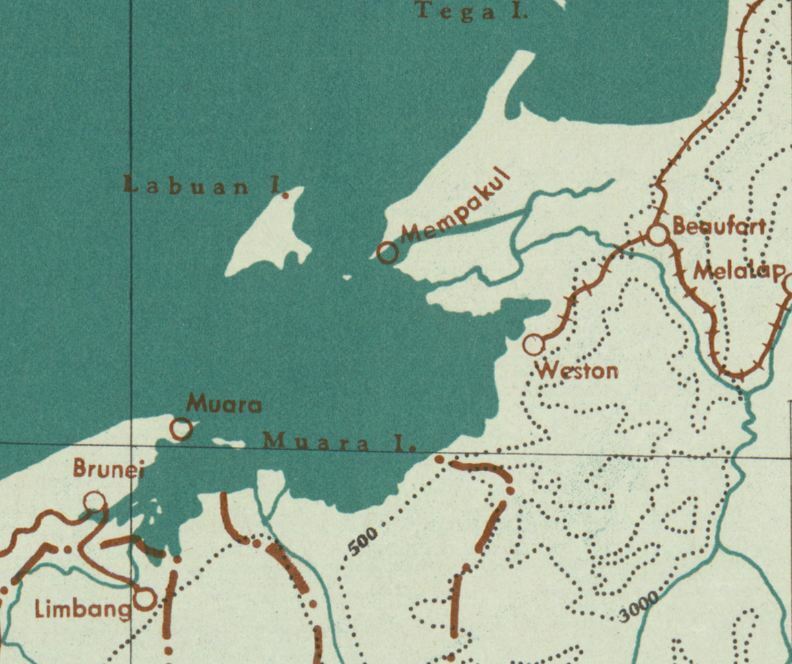 The map is dated 29 December, 1943, and is OSS Map 2920. 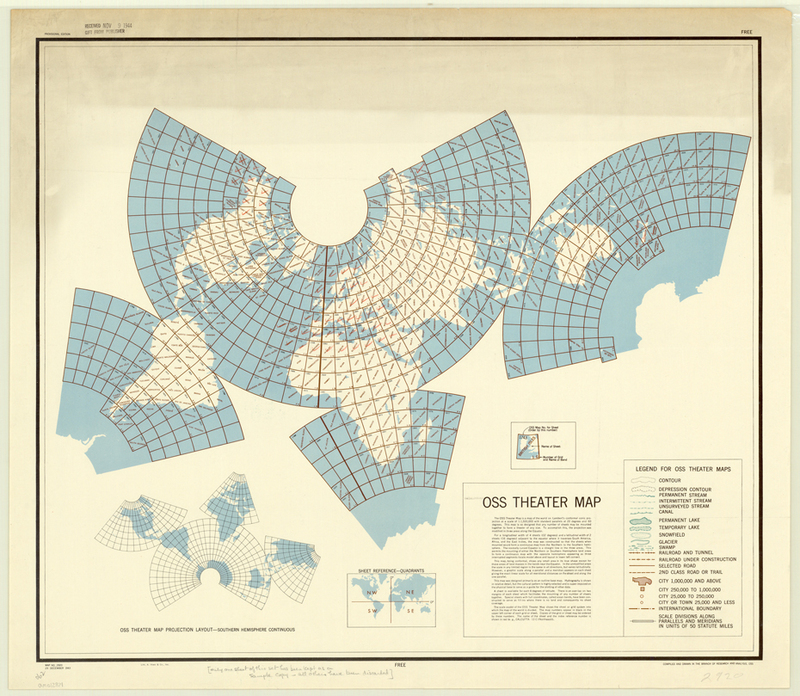 As part of their mapping efforts, the OSS produced this jaw-dropping “OSS Theater Map” at the height of World War II. It’s notable for a number of reasons. 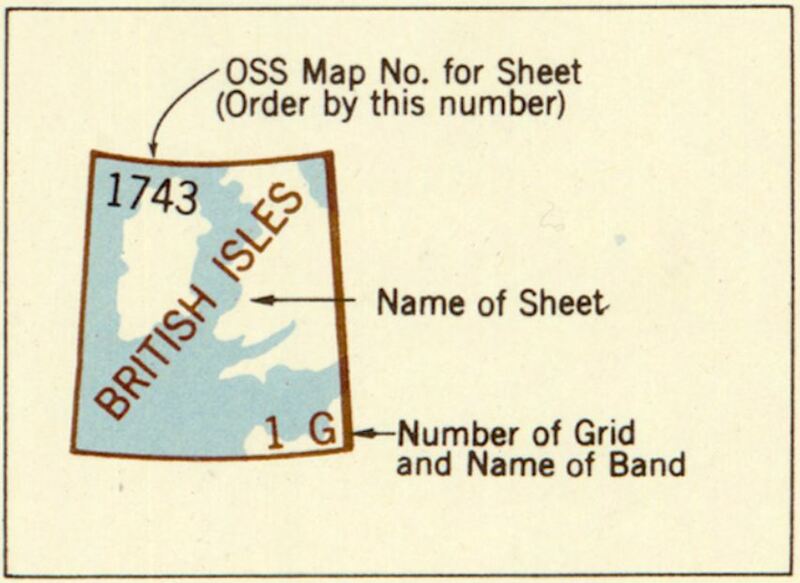 Each one of these grid units (eg 1743 for the British Isles in the detail above) was produced as a separate base map, without thematic information. So if you want a map to cover the British Isles, you sent for Map #1743. If you wanted an expanded area, you could join it to map #1619 (“Amsterdam”) to the East where it would fit alongside. The 1 G showed it was map in the first grid to the west of the Prime Meridian, in the G-band north of the Equator. (Unfortunately this meant some duplication of grid/band numbers; so for example “Abidjan” and “Lagos” were both 1 A. However, they had different map numbers: 1672 and 1501). 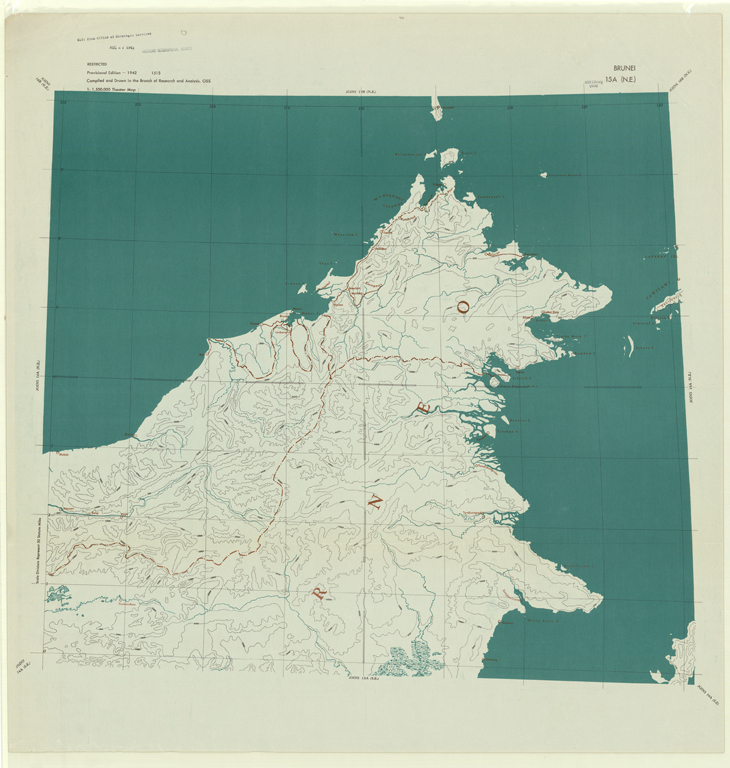 Here’s an example of one of these grids, #1513 (Brunei). This is dated 1942. It appears to show not only hydrography, but also some basic elevation detail, as well as railroads, political divisions and of course places names (in English). This entry was posted in Intelligence, Mapping, OSS and tagged OSS, theater map, WWII. Bookmark the permalink.